Contouring the face with brown eye shadow or a darker shade of foundation had many followers, but as everything, it had its days in the fashion and makeup industry. Not that it will abruptly stop, but now the latest makeup trend is called STROBING. It requires flawless skin, glossy cheekbones and bright eyes. 1. Good makeup starts with good skin. For reflective skin that glows, take your skincare routine seriously. Use a proper cleansing foam, wash your face twice a day – NEVER ever go to bed with your face dirty from the day, with pollution playing a role. Even if you never wear makeup, clean it before sleeping. Massage your face during cleansing – it will plump your skin. 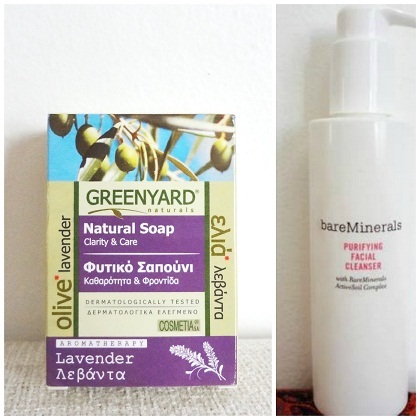 Good products are Cetaphil Gentle Skin Cleanser, bareMinerals Purifying Facial Cleanser and a great Greek soap called Greenyard Natural Soap Olive Lavender. 5. Translucent-transparent powders add the perfect touch; they are invisible to eyes and cameras, but create radiant skin. Try Nars Translucent Crystal Light Reflecting Loose Setting Powder. 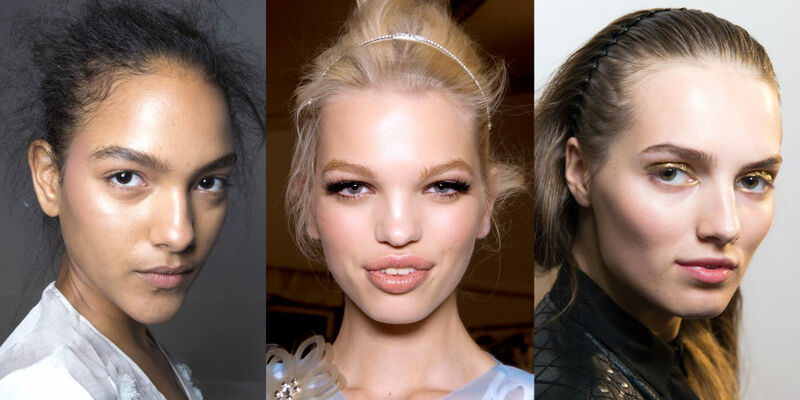 Now, the ultimate trend is bleached brows and bare lashes. If you are courageous enough! I confess that I liked the technique, but won’t go as far as bleaching brows! So what do you think? Will you try STROBING or will go on with CONTOURING? * Products shown here are my own. 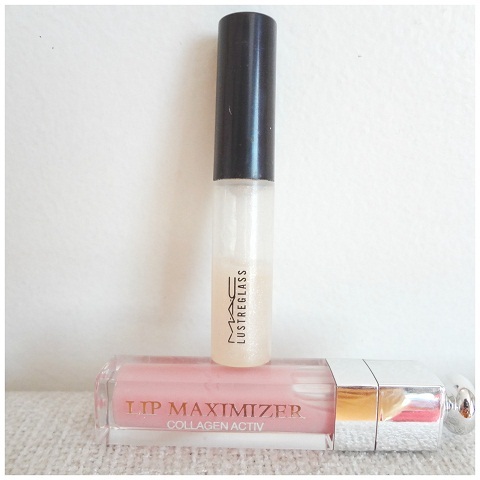 You may like to take a look at other products for strobing here.